Pinnacle 1-Door Audio Tower in Cinnamon-Cherry and Black features 2 adjustable shelves and 1 reversible door opening from either right or left. Add this Pinnacle Audio Tower to matching Pinnacle TV Stand #101225 to create a complete entertainment set. The Pinnacle Collection from Nexera offers a wide selection of TV stands and audio towers of different finishes and designs so you can organize your entertainment area in style and simplicity. Pinnacle 1-Door Audio Tower - Cinnamon-Cherry and Black Pinnacle 1-Door Audio Tower in Cinnamon-Cherry and Black features 2 adjustable shelves and 1 reversible door opening from either right or left. 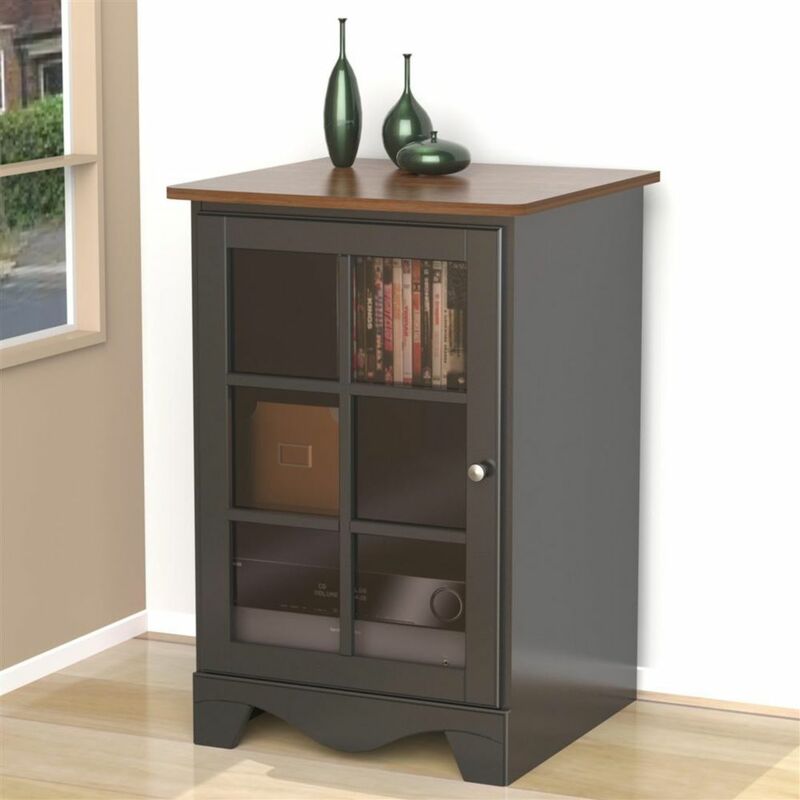 Add this Pinnacle Audio Tower to matching Pinnacle TV Stand #101225 to create a complete entertainment set. The Pinnacle Collection from Nexera offers a wide selection of TV stands and audio towers of different finishes and designs so you can organize your entertainment area in style and simplicity. Pinnacle 1-Door Audio Tower - Cinnamon-Cherry and Black is rated 2.0 out of 5 by 1. Rated 2 out of 5 by Black and White Night from A few disappointments I received it today. First disappointment is that it looks better in the photographs. Then I could not complete building it as one hinge would not close to 90 degrees. Even the good hinge cuts into the door when fully open. Waiting to hear about a replacement hinge, or maybe I will return it.